Palmer Luckey, the co-founder of virtual reality (VR) company Oculus, is exploring the use of nerve-stimulating implants to facilitate more immersive VR experiences. Luckey isn’t the only innovator looking for ways to make VR experiences more immersive. We’ve seen elaborate setups to enhance mobility, along with peripherals to mimic environmental conditions such as wind and temperature. Some have even attempted to bring taste into the virtual world. Luckey’s implants would completely change how VR systems interact with our bodies, delivering an entirely new level of immersion, but plans to bring brain-computer interfaces (BCIs) to fruition are even more ambitious. 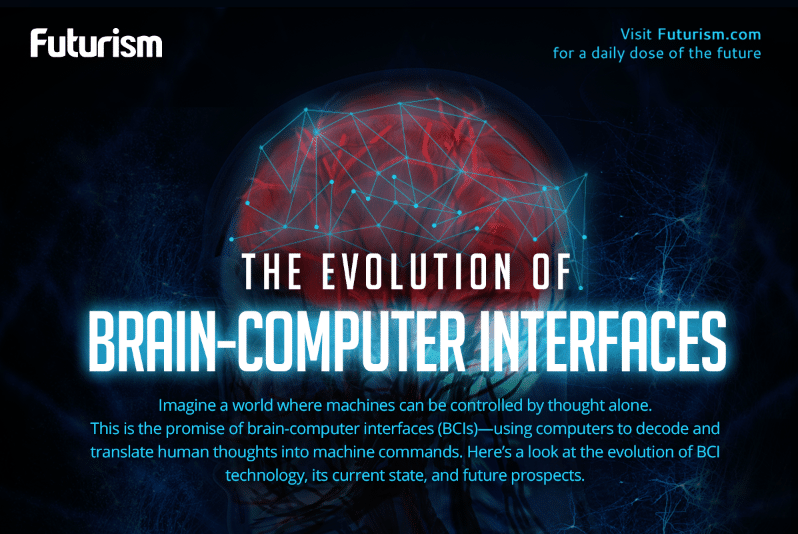 Elon Musk’s Neuralink and Bryan Johnson’s Kernel are two high-profile examples of brain computer interfaces that would give humans a type of superintelligence previously only seen in the realm of science fiction. The research on these devices is in its infancy, so their full potential is still unknown. However, several immediate applications have already emerged, including the ability to help disabled persons gain greater mobility or augment the strength of laborers, allowing individuals to do more work in less time. From healthcare to space exploration, implants could radically transform how humans navigate nearly every industry — a better experience in virtual reality is just the tip of the iceberg.